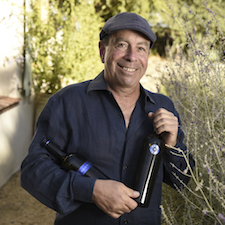 I am extremely excited to announce that this benefit will be hosting Kenny Kahn of Blue Rock Vineyards (Next door neighbor to Silver Oak in Alexander Valley)! He will be signing bottles and mingling with you throughout the evening! Don’t miss out on your chance to join us for this special event! Please join me for the LOCALS SUPPORTING LOCALS Fundraising Benefit for victims of Hurricane Harvey on Thursday, October 26th. I have put together this event for victims in our area. Local restaurants are serving bites while I will be choosing and pouring the wine! There will be a silent auction with some amazing wines and other items such as an outdoor grill, artwork, gift cards and hotel getaways. Dating back to 1880, the 100-acre Blue Rock estate tells the story of how European winemaking came to Sonoma County’s Alexander Valley. Italian immigrants brought with them olive trees, vine cuttings, and knowledge of grape growing. The region’s undulating golden hills and idyllic vistas even look reminiscent of Tuscany itself. Blue Rock Winery was first settled by Italians who worked at the Italian-Swiss Colony winery just down the road. The original stone house was once Villa Maria winery, which closed its doors during the Prohibition Era. Acquired by Kenny and Cheryl Kahn in 1987, the Estate maintains much of its old world character. It even maintains its original olive trees that are now over 140 years old. also inhabited by wild turkeys, feral pigs, and abundant wildlife.